There were 624 press releases posted in the last 24 hours and 153,979 in the last 365 days. Master Articulate Storyline 2. Our Articulate Storyline 2 training seminar is designed for anyone who wants to learn how to create powerful e-learning courses. Companies like Papa Johns, Kentucky One, JCPS and Farm Credit Mid America know the value of my Articulate Storyline training. 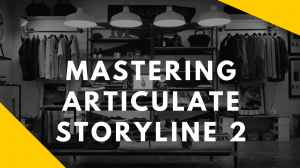 I promise you: By Day 3, you will have mastered Articulate Storyline 2. Articulate Storyline 2 is a new version of any already powerful e-learning development tool that is rapidly changing who can create online training courses and what these courses look like too. Traditionally, course development tools were often time consuming and technically demanding and dare we say, boring. When it came to creating slick, professional and engaging courses, folks had to invest significant amounts of time, money and expertise. If you are a smaller organization, good luck. You simply did not have the resources to give your most important resource, your employees, the best training courses. Telania is happy to report that that is no longer the case. Enter Articulate Storyline 2 (the big sister of Storyline 1); a bold, innovative and attractively designed elearning software that can most novices into eLearning design experts. However, therein lies the rub. Turning novices into expert users of Storyline is not exactly a walk in the park. You can invest copious amounts of time on long winded tutorials, lurk in most online forums hoping to catch a tip here or there or even pay some ‘expert’ or consultant to work with you. Most folks simply end up more frustrated than when they first started. We know many of you hunger for quality Articulate training. So what can be done about this? We listened to our customers and elearning professionals and decided to do something about this. We are putting together a 3 day immersive Articulate Storyline 2 Seminar and clinic. We are going to get into the weeds, pull them up by their ears and .....” Sorry we got carried away with the illustrative example there. Do you however see what we did there? Our Articulate Storyline 2 experts are not just going to regurgitate a bunch of tips and inane ideas. No. They are going to perform one-on-one, hands-on training by showing. * What is Articulate Storyline 2? We don’t want you to miss out on this at all. In fact, we are going to leave you with some interactive Articulate Storyline Templates as well as the option of getting continued one-on-one support and assistance as well as special learning management system account to you can host your beautiful Storyline courses..